Everyday worries can keep you awake. Sometimes at night Edith can’t sleep. She goes through the “what-ifs”: What if her son gets sick and she can’t leave work? What if there’s no one she can call to take care of him? What if he stops paying attention in school or makes bad friends? What if she loses her job or her home? These concerns used to keep Edith awake in tears well into the morning hours. But she’s learned from other moms to surrender her worries to God. As she prays, tensions ease and she relaxes into sleep. Edith looks forward to weekly meetings at a local church with other moms. She gets to share her concerns, prayer requests and victories, while her son studies and plays with other kids. There’s nothing like having the support of other moms who know what you’re going through and struggle with the same issues: teething, fevers and messy illnesses, the terrible twos (and threes and fours), school struggles, loneliness and fear of being an inadequate mom. Edith and her friends share their children’s accomplishments and laugh over their antics. Seasoned moms give parenting advice, encouragement and remind her to trust the Lord when she’s feeling scared or overwhelmed. It’s hard sometimes, but she feels hopeful when she sees how God has provided for her friends, as well as for her and her family. It was harder five years ago, her son was 5 years old and she was at her wits’ end wondering how to cope as a single mom with few resources; living in a gang-ridden area. Then God provided a miracle: a mom and her family who sponsored her son through Compassion International. They lifted a burden from her shoulders and gave her hope. Now her son Leswin has a safe place to go after school. He gets help with homework, learns about the Lord, plays with other kids and has a snack that helps meet a growing boy’s nutritional needs. This year Leswin’s sponsors, Laura and Shawn and two of their children, visited them in Honduras. Edith invited them to their home and was so proud to show them what a good student he is and how much he’s grown. Leswin enjoyed introducing them to his friends and his pet parrot. Watch the video of their visit here. 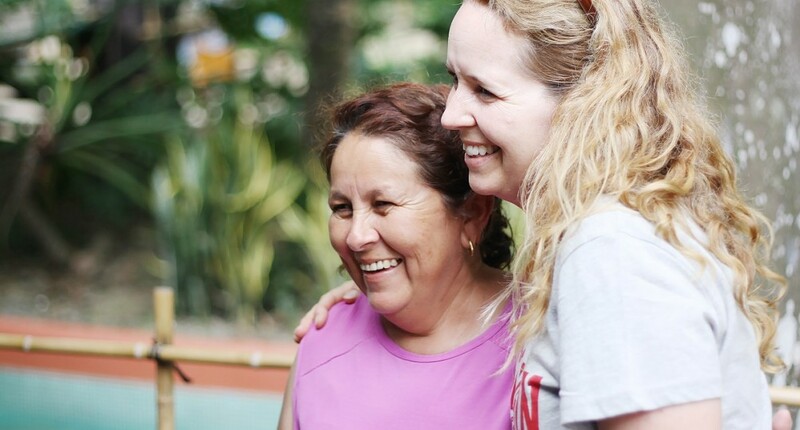 Edith is so grateful for these new friends, her friendships with other moms and for the local church in Honduras that runs the sponsorship program with Compassion. It is so good to have people who care. Above all, it is wonderful to know God cares! Resting in the assurance of his love, Edith now sleeps well at night. As a mom of young ones, you know how important another mom’s support can be. Your MOPS group can make a difference in a mom and child’s life in northern Honduras through the Act For Moms fundraiser. Learn more at ACT For Moms. 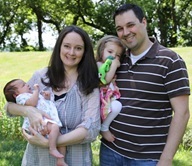 Becky is a MOPS mom who lives with her husband and two daughters in Michigan. She’s worked for Compassion International for six years. Her family sponsors two little girls; one of which Becky traveled to the Dominican Republic to meet. Connect with her to learn how to introduce Compassion to your MOPS group or about Act For Moms by emailing her at: act@compassion.com (include Becky in the subject line). She’s eager to hear from you!